After harvesting and sorting by the growers, the bulbs are received in crates. Our quality team then checks each batch based on a comprehensive quality control procedure. All findings are recorded in an inspection report. Flower bulbs that do not comply with quality standards are refused and sent back to the grower. After approval, the bulbs they are rinsed (if necessary), disinfected and packed into crates. They are then frozen and stored in cooling cells until delivery. Even during storage the bulbs are under our constant control. The temperature and humidity levels in the cells are checked on a daily basis. Sugar levels and any abnormalities are also monitored. Twenty-four bulbs from each batch are reserved for planting in the trial greenhouse. The bulbs are planted in spring or autumn, depending on the origin of the bulbs (Northern or Southern hemisphere). Our quality controllers closely monitor growth development and any abnormalities. 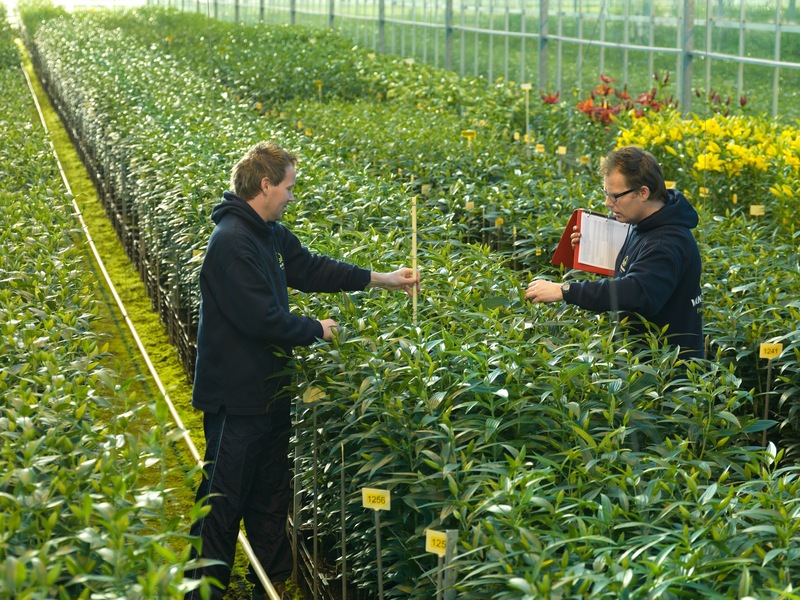 Van den Bos stands for quality and transparency, which is exactly why the test results from our trial greenhouse are provided on our website. Our customers have online access to batches reserved for them and they can place orders through the Internet. Batches are then prepared for defrosting on this basis, which is followed by a final inspection. Periodic monitoring also takes place during bulb cultivation. Our account managers pay personal visits to customers and they assess the growth and quality of the batches. Development of the cultivation is discussed with the customer and optimised where necessary. If any abnormalities are identified they are registered in the inspection report.